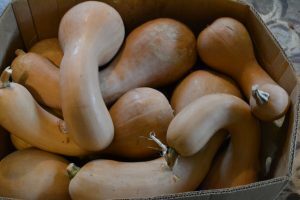 Looking for a great squash to make a pie. We now have a good selection of Organic Crooked Neck Squash. Stop by our farm today or Crystal Spring Farm Market on Fridays.